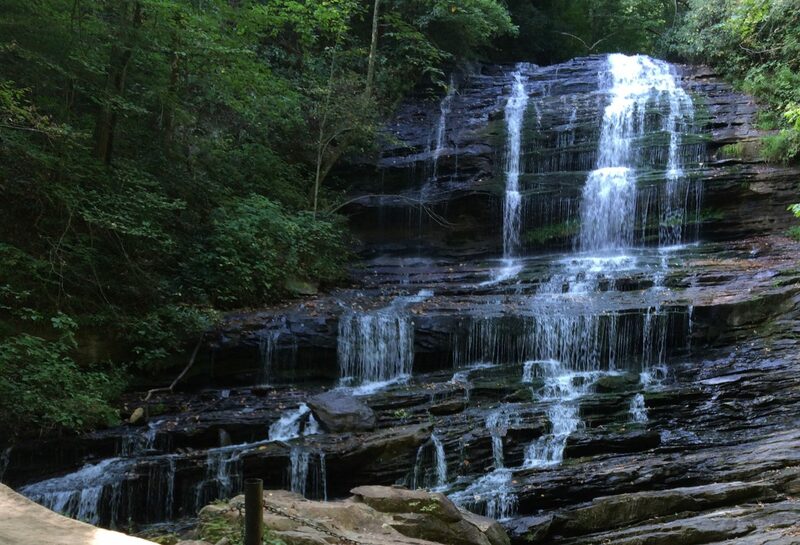 This 90′ waterfall is located on a piece of land owned and maintained by the Tryon Garden Club. The trail to reach the falls is about 1/4 mile long (each way), and parallels the creek the whole time. The setting is lovely, with over 350 species of rare plants and flowers. 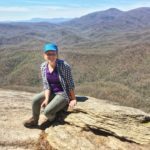 This is a great hike for little walkers, since there are things to see the whole way, the trail is short, and the payoff is fantastic! There is a small pool to play in near the base of the waterfall, as well as several benches and picnic tables to rest and enjoy a snack.